I have always had a strange allure to Asian food. It’s just so perfect with the use of powerful flavors while maintaining balance and subtlety. No flavor ever overpowers the other, they just work together, if done correctly that is. In fact Vietnamese food for example is all about balance of flavors. That balance consists of 5 specific elements or levels which include spicy, bitter, sour, sweet, and salty. 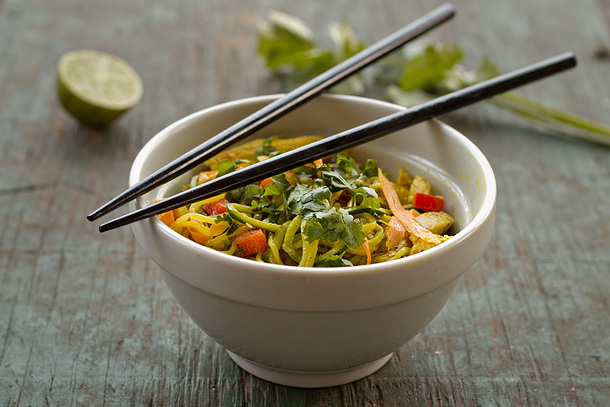 The balance of those specific flavors is what can make a great Vietnamese dish. Did you notice that MSG was not on that list? What a surprise. Now I don’t want to start sounding like some kind of Vietnamese food expert because I am far from it. But it’s always nice to know a little bit of the “secrets”. Plus explaining anything like that just makes you look like a culinary genius, so next time you are talking to a friend about Vietnamese food bring that up, and you are now a culinary genius in that persons eyes. Or a pompous know it all chef. Cross your fingers for the culinary genius one, because that is what I’m doing. Regardless, that little bit of information actually will help you create a balance for your Vietnamese dishes, so long as you can pick out your flavors in an ingredient. 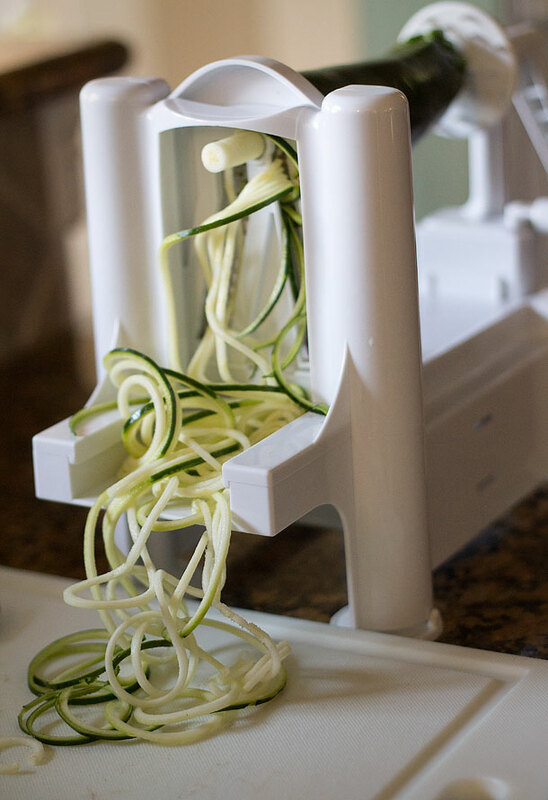 I really like freshness with spiciness when it comes to a stir fry, which is why these zucchini noodles are so amazing with it thanks to my amazing spiralizer. When I made this stir fry it kind of came by me by accident. Okay, completely on accident. I was incredibly hungry and it was already past 1 o clock, and I am all about eating my lunch at the right time. If it starts to get late I just get too hungry and am not as pleasant a person to be around. So I floundered around the kitchen for ingredients and came back to the stove top with the zucchini, left over chicken, bell pepper, and a carrot. My first though is that i would just dump it on a plate and eat it because I was way too hungry. But instead I took some extra time and floundered some more and started adding things left in right and that’s when I saw it. The fish sauce, also known as nước mắm. I learned about it through reading about it but was inspired to grab a bottle after seeing it on Nom Nom Paleo a while back, but never got around to using it, until lately. A light shined and the angels sang, so I snagged the bottle and immediately started thinking of the 5 Vietnamese flavor balances. After my epiphany, I began cooking wildly and voila, a stir fry that made my eyes widen the second I put it in my mouth. Now all I have to do is convince my parents about the whole “fish sauce” thing. 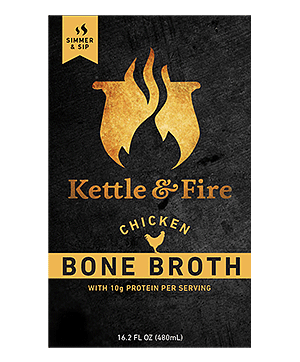 I know it might sound gross, but believe me when I say this stuff is amazing and will add a ton of flavor depth to any dish, even ones that aren’t Asian flavored. Heat walnut oil in a wok or medium sauce pan over medium heat. Once pan is warmed add minced garlic and ginger, once fragrant add red bell pepper and sautee until it begins to soften then add the carrot and continue to saute for about a minute or two. Add meat and let sit in pan until meat is warm, then turn the heat to medium high and add the curry powder and zucchini noodles and keep your pan moving. Dont let the meat and veggies scorch you just want to brown them a little over the higher heat. So keep the pan or wok moving and then add the lime juice, fish sauce and toasted sesame oil, black pepper and a little bit of the chopped coriander but save some for garnishing. Toss the pan and keep it moving fast over the heat until everything is thoroughly coated with the curry powder and everything. Split between two bowls and garnish with your remaining chopped coriander A.K.A cilantro. When it comes to the meat you can cook it fresh if you like, but the thing about this dish is that I made it fast and easily with leftover chicken that was in the fridge. So if you have any leftover meat this is perfect for a quick lunch or even dinner. Hey Joshua! I found you through your guest post on Paleo Parents and I love your site and your story of healing! 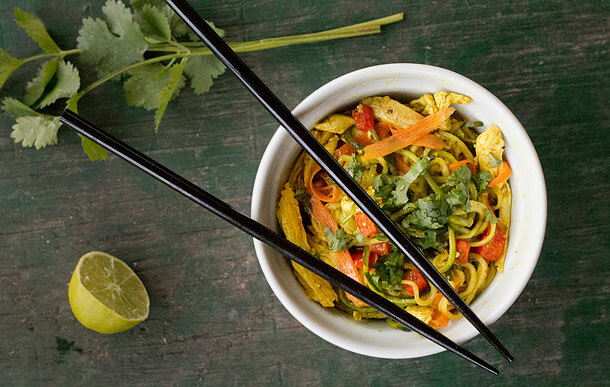 This looks super yummy… I think zucchini noodles are the best thing ever. Keep up the great work and I look forward to future recipes! Thanks Carol. You really should try it though, I know it’s weird believe me I do. It’s so much better than you think it is and you only need a little bit to add a ton of flavor. It’s the same principal as using anchovy fillets in Italian cooking, it adds an incredible depth of flavor that isn’t fishy in the slightest. I think if you tried it you wouldn’t be sorry and it would probably end up being frequently used in your kitchen, but I understand if you still think it’s too weird, everyones different. Since your actually Vietnamese I will take your word this isn’t actually Vietnamese. I probably should have studied a little more on Vietnamese food before I posted this. You are going to have to teach me some traditional recipes some time. Let me know if you ever try anything on here and be sure to send in pics. 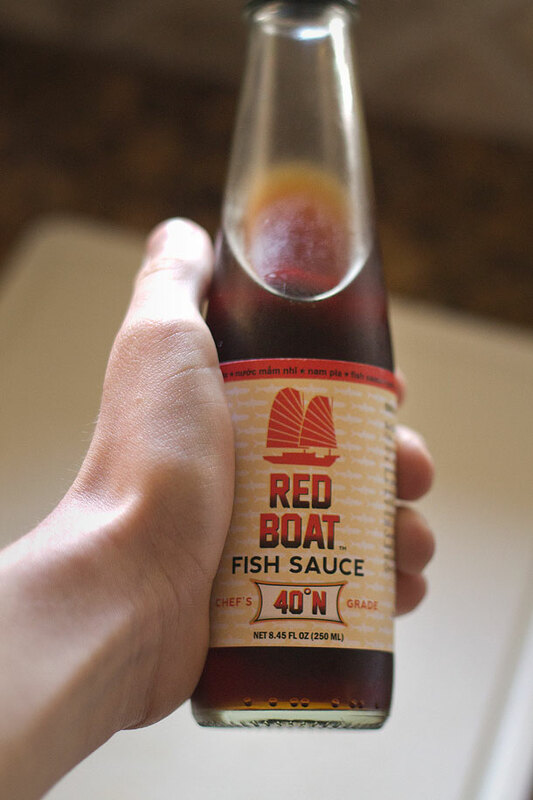 And I agree, fish sauce is amazing, so long as it’s Red Boat, they are one of the only companies I know that uses just fish and salt, not to mention it’s wild caught. I tried the coconut macaroons, and maybe this weekend I’ll try the cinnamon donuts. I dont have any experience in food photography, so I feel very embarrassed to when taking pictures of them, also Im not good with presentation. I absolutely <3 your blog!!! Wow you're such a inspiration! 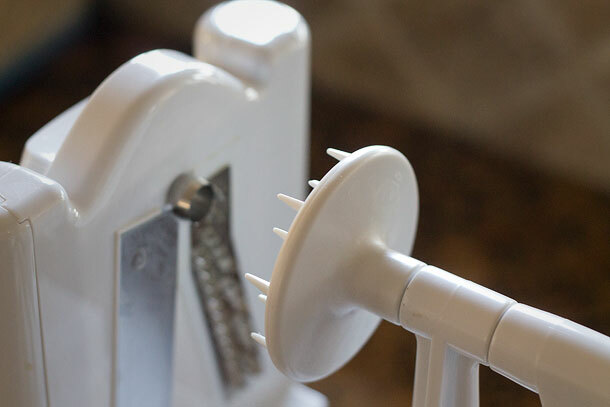 I have been Crossfitting for over a yr now and have watched many paleo eaters come and go and shrink in the process. I personally never thought much of it bc I'm always so busy and I do not cook anything that cant be easily prepared. My Box did a Paleo Challenge awhile back and I watched my friends literally shrink before my eyes. 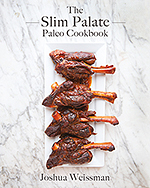 I decided to give Paleo a try and since its not a "diet" it's a lifestyle I have changed my whole life to revolve around it and I can say I have never felt better. Reading your story and trying your recipes has really inspired me to keep on track and continue with my success. Have you ever tried toasted sesame oil or mirin? I love toasted sesame oil for asian dishes. I made this for my family tonight and everyone really liked it, ate every bit and asked for more, even my teenage boys! That is hard to do in this house. I’ve been spending lots of time looking at your website. Lots of interesting and tasty looking recipes. I just made your Vietnamese Stir Fry; it was absolutely delicious. I will look over your other recipes now as I am anxious to try some more! woooo go Joshua!! Here I am at 19 thinking I’m the only young healthy chef and here I get blown out of the water by a 18 year old boy! 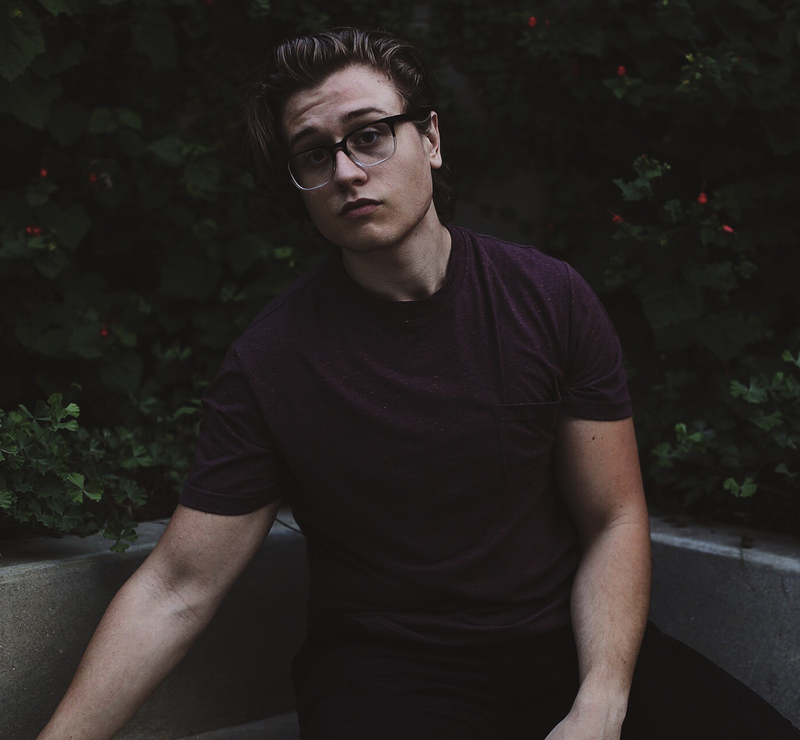 I’m rooting for ya, I love your approach, photography, and recipes so much. Keep following your passions, and you’ll live an incredible life for certain!! Made this for dinner tonight and all I have to say is OMG!!! Soooo delicious!! This is simply delicious! An incredible combination of flavors! All three of my children loved it – especially my three year old! I served it over quinoa to stretch it. Thank you! Can’t wait to make it again.